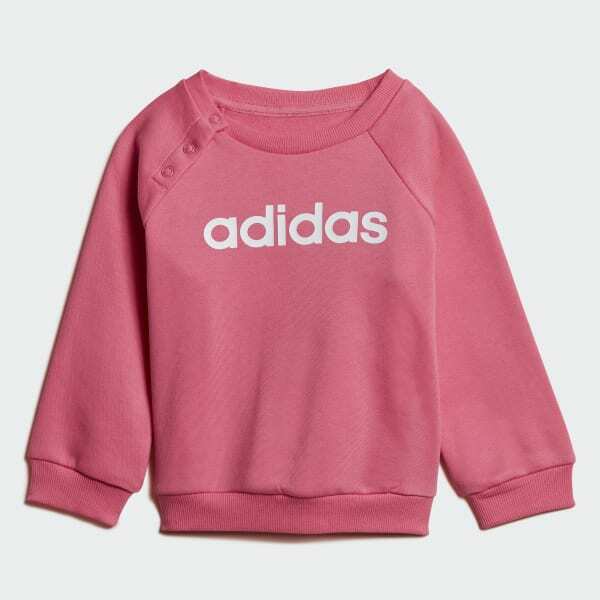 A crewneck jogger set for the next generation. A jogger set for little ones who won't stay still. This two-piece fleece set features ribbed cuffs at the wrists and ankles to help sleeves and pant legs stay securely in place. A snap closure on the shoulder makes it easy to get them dressed.